A 3D Logo will give a unique focal point to your company branding for a reception, exhibition or photo shoot. Each logo is individually manufactured depending on the design and size required. Generally the 3D logo’s are made from extruded polystyrene (xps), sometimes referred to as styrofoam. This material is a very smooth, dense foam which we can hot wire cut and then coloured to match your branding. Some companies logo will just be lettering which can be cut, painted and then fixed in position on an exhibition wall, shop wall or reception. 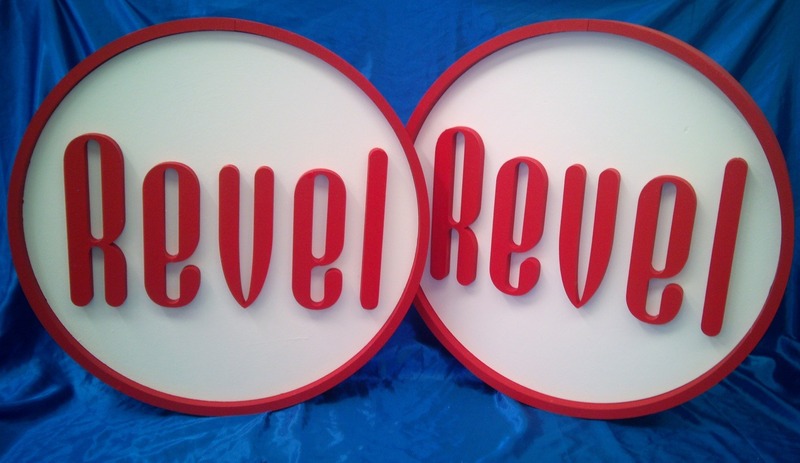 Other logo’s may require the foam attached to one or both faces of clear acrylic to give the illusion of the letters floating. Whatever the logo required we can generally manufacture something to suit. Please take a look at some examples below and send through your enquiry for a quote.